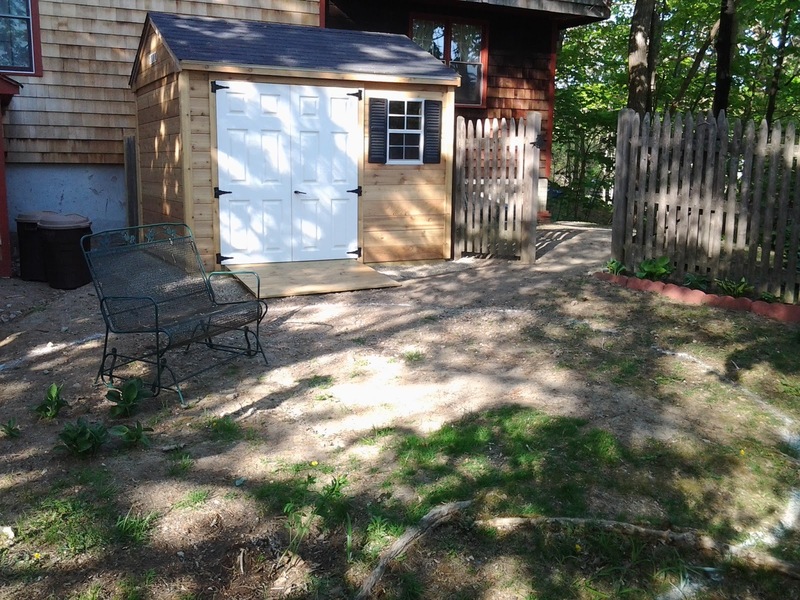 New shed in existing rear yard. Not a clear place for sitting, grilling and entertaining. 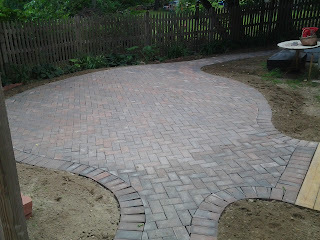 Rustic brick patio installed creating space for outdoor enjoyment. Connection to shed, rear entries and back door area. Existing slope down to pool side. Not a comfortable walk through side gates. Not aesthetically pleasing either. 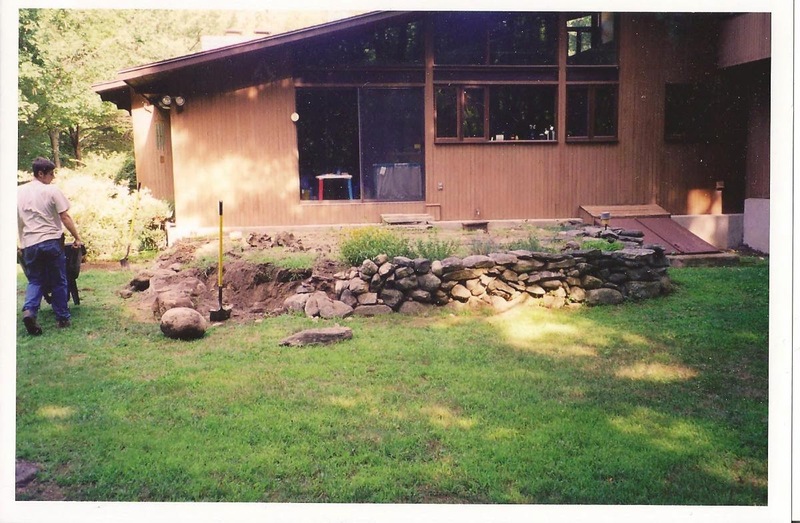 Fieldstone steps were installed with boulders to hold slope. Plants are already being installed by homeowner to further define path while creating a pleasing garden opportunity. Existing home where owner did not like the style of rear exit landing. Also with young children edge at the top of wall was unsafe. 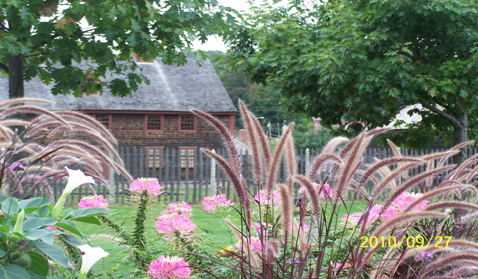 Materials were re-used elsewhere on the property. Nice weathered fieldstone and quality soil material. Unfortunately material not appropriate for a patio. Once everything was removed a simple stairway with landing was created. 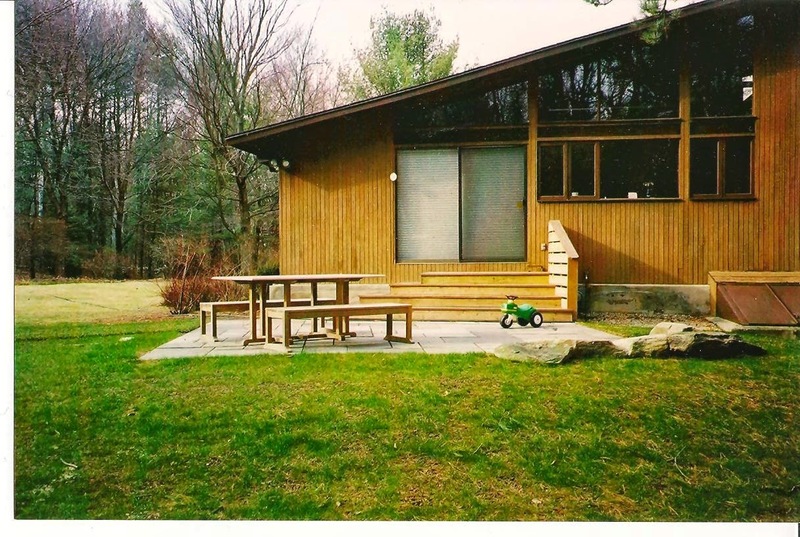 Sliding door on left does not open so there is plenty of room to step. 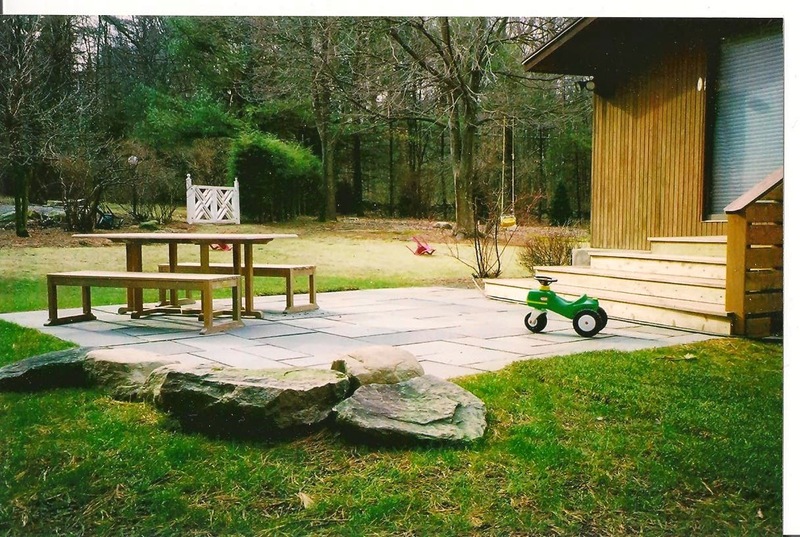 Simple bluestone patio was constructed for table and great play space as needed. In a few years when children have grown a planting will be installed. Great opportunity for color and texture just outside backdoor. 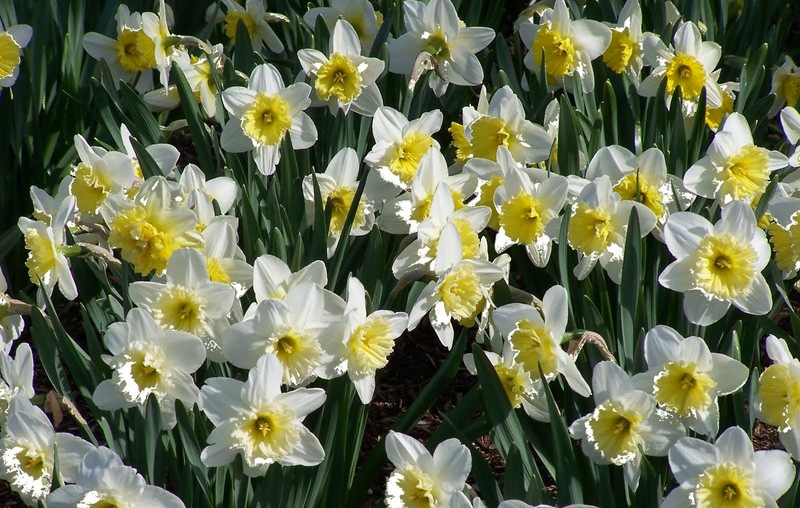 I have been in the "green industry" for thirty years.